Obituary for Nicholaus Joseph Franks | Bednarsky Funeral Home Inc.
Nicholas Joseph Franks, Sr. 72 of Binghamton, went to be with the Lord, Sunday, August 5, 2018. He was predeceased by his parents, Michael and Mary Franks; his sisters, Kay (Jim) Lloyd, Shirley (Frank) Newton, Maryann Nalepa, Lila Mann; his brothers, Robert and John Franks. He is survived by three children, Lisa Johnson, Joseph Franks and Nicholas Joseph Franks, Jr.; his sister, Delores Frayer; his sister-in-law, Betty Franks; ten grandchildren, Jennifer, Roger, Krystina, Ashley, Austin, Nicholas, Zachary, Damien, Tyler and Kaylee; twelve great-grandchildren; also several nieces and nephews. He was a graduate of Binghamton Central High School, a veteran of the US Army, a retired bus driver for BC Transit and a former employee of the City of Binghamton. 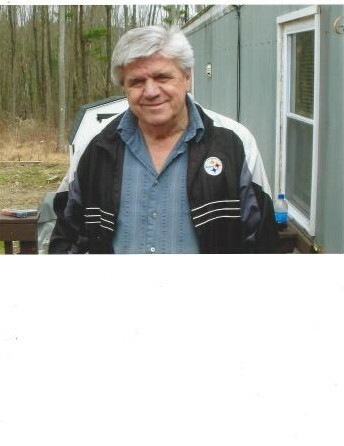 He was a champion billiards player, enjoyed horse racing and spending time with his children and grandchildren. Funeral Services will be held Friday 10:30 AM from the Bednarsky Funeral Home, Inc. 96 Glenwood Ave. Binghamton, and at 11:00 AM at the Calvary Baptist Church 466 Chenango St. Binghamton, with the Rev. Bill Deckert, officiating. Burial will be in Holy Spirit Cemetery at the convenience of the family. The family will receive friends at the Bednarsky Funeral Home on Thursday from 5 to 7 PM. In lieu of flowers, expressions of sympathy in his memory may be made to the Disabled American Veterans, Bill Gasper Memorial Chapter #60, P.O. Box 308 Binghamton, NY 13902.